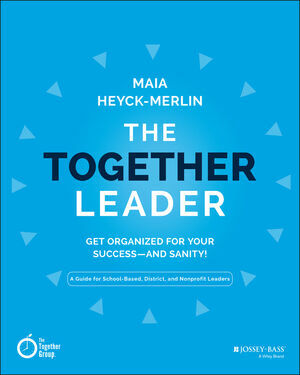 MAIA HEYCK-MERLIN is the founder and CEO of The Together Group, a training and consulting practice focused on training school, district, and nonprofit leaders on topics such as time management, prioritization, organization, and efficiency. She is also the author of The Together Teacher. SeenandHeard • OverviewandObjectives • TheModel • Task-Driven, Time-Driven, or Blended? • Build Your Own • Little Things Make a Difference • Some Other Sneaky Calendar Tricks • But, Maia, What about Things That Just Come Up? • Keep It Alive:The Routine • Start Strong Common Challenge: Too Much to Do!